The Z Beat: Teach Your Fitness Passion at a Resort! Take a Teaching Trip! Spring Break is right around the corner for our school district, and I am getting ready to pack my bags again for the third time and to go on what is known as a "Teaching Exchange". A teaching exchange is where Fitness Professionals work through a Teaching Vacation Organization to get placed to teach a variety of fitness classes at magical all-inclusive resorts in the Bahamas, Mexico, Jamaica and many other Caribbean locations in exchange for a hotel room, food, beverages and onsite entertainment for the week. YEEEEEEEEES, the week! What if this is a hoax and I show up for the week and they aren't expecting me? What if I actually have to pay for my family of 5 to be there? What if there are no rooms available? What if my van doesn't show up to get me to the resort? What if? What if? What if? What if? 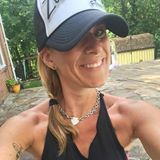 There are a handful of reputable agencies to work through, my experience happens to be with Fit Bodies, Inc. In my experience, Fit Bodies provides excellent customer service, and clear communication on what to expect in terms of what I needed to do before my trip as well as during the trip. It is Legit: It is NOT a scam. If you always wanted to go, but had reservations about it; TAKE THE PLUNGE! It will be worth it. Where Can I go? : You choose where you want to travel and when you want to go. As a member of Fit Bodies Inc, you pay a nominal yearly fee to get access to teaching opportunities. You can go to the online portal anytime the travel urge hits to find out if resorts are looking for instructors to teach. If their needs match with your desired location and date requests, then it is a match! Fit Bodies will work on confirming your stay with the resort. You literally don't have to do anything! A small yearly administrative fee to be a member of Fit Bodies Inc.
Up to $450-$500 for the week to Fit Bodies Inc which isn't bad considering some places charge $300/$400 per night per person. A gift fund to the resort not to exceed $150 either in gift items or cash. Any resort upgrades you want including adding extra people or securing a larger room. What Can I Expect? : When you log into the portal to research your teaching opportunities, you choose what you are looking for. Read the fine print for every resort in terms of travel. In my experience, you have to arrive on a Sunday and depart on a Sunday. You will never teach on your travel day which means NO classes on Sundays. You will most likely teach one or more classes Monday-Friday, and in some cases on Saturday as well. If you are looking for a family-oriented location there are plenty of options. (Note: Most places allow for 2 adults and 2 kids under the age of 12 included "Free". If you have a third child, there is small upgrade fee. Depending on the resort, you can either get one room, or upgrade for a larger family. Read the fine print)! If you are looking for a couples getaway, there are couples/adult only locations that are magical and quiet and inclusive only for adults. TRAVEL is NOT included, so book early so you can keep your eyes on flights. In many cases, it may be difficult to get to where you want to go, so book early and stay on-top of all the travel sites by setting alerts for airline price thresholds. You need to be FLEXIBLE! That is basically the #1 requirement. If you aren't a "wait and see" kind of person, this trip is not for you. When you sign up for the trip you denote the platform you teach, you will never be asked to teach something you are not certified to teach, but your specific schedule will be defined once you get there. Fit Bodies Inc does a great job outlining a tentative schedule in terms of resort requirements, but that can change. You won't confirm exactly what you are doing until you get there. Once you arrive, you check in to the resort. Unpack your bags, take a look around the resort, grab a frosty beverage and find the activities director. He/she is expecting you and together you will discuss your teaching schedule, timing and they will coordinate who will be with you (you will either be alone, or with the entertainment staff which is a BLAST), and they will let you know who is in charge of the music/equipment, etc. It's True! You just Need to Teach: Once you confirm your schedule, you can set up activities for the rest of the week. You can choose to relax by the pool, take advantage of resort activities or sign up for excursions IF it works with your teaching schedule. Remember, YOU ARE THERE TO TEACH, so that is your #1 priority. However, once you fulfill your priority of teaching; you are free to have fun. And let me tell you, it is fun for everyone in the family! Classes are Different: Remember, people that come to "your classes" are on vacation! They are not your "peeps" or your "front row divas". They don't know your moves, and they don't want to kill themselves. SO MAKE IT FUN! Be flexible. Be amenable to changing your setlist on the fly and engage people. If you are teaching Zumba®, you will most likely be on a beach, or near a beach. Make accommodations for people who show up barefoot. If you are teaching Aqua, make sure people put their drinks down ;). It doesn't matter what platform you teach, have fun and make people want to come to your party! Those are all of the tidbits I could think of. Please feel free to comment here, FB me, or email me if you want to know more about my personal experience. All I can say is every year I go I have fun. Each experience is different. Each week is tiring but fun. You will create memories, expand your teaching horizon and get to see fantastic places. Happy Traveling!